I drank more water and – finally – started regularly walking/running several evenings a week with some consistency. I read two books for me – Love Warrior (full review coming tomorrow) and Lean In – and two with Sam – Owls in the Family and Toys Go Out – I recommend the latter, but not the former. 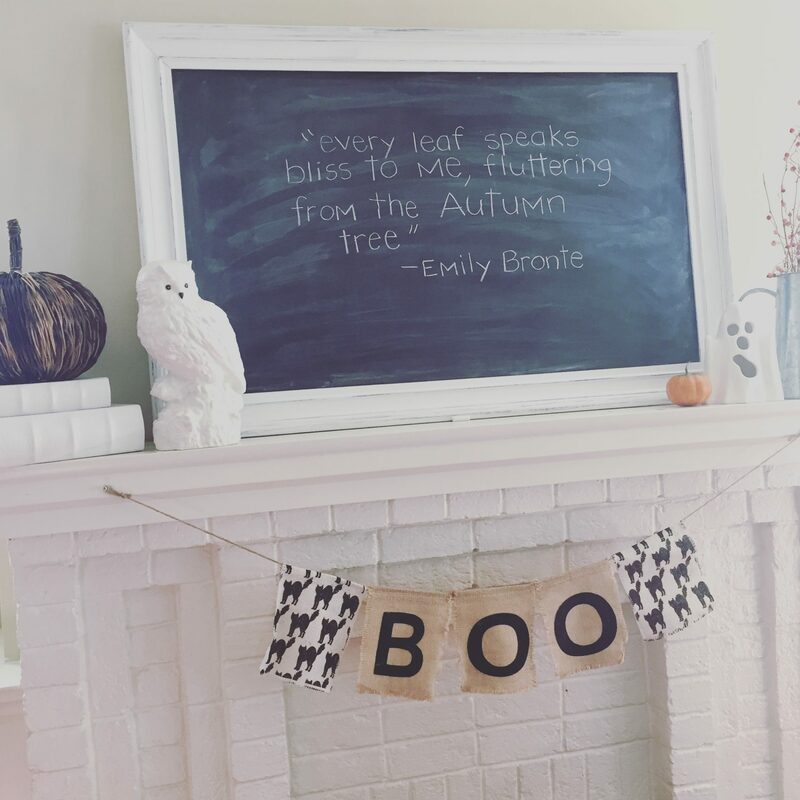 I decorated for fall but didn’t quite get our closets organized. I still haven’t updated the photos in our house. And, we went camping!!! (I even enjoyed it!) *I also went hiking in September. Who am I? Looking back, September was maybe one of the more “successful” months I’ve had in a while in terms of goals… There’s definitely something to be said for routine after a summer of fly-by-the-seat-of-your-pants fun! Here’s hoping October will be even better. So, shall we? 1. Clean out all four of our closets and create (and share) some type of “capsule wardrobe” for the kids and me. 5. Read three books for me (it’s a stretch, but – thanks to Overdrive and audiobooks, I can totally do it) and at least one with Sam. 6. Take the kids to a pumpkin patch. I don’t know if I’ve become more cynical or more realistic, but I actually had kind of a hard time thinking of goals this month. I really want them to be attainable, and not overwhelming or pointless. There were other things I wanted to put on there – like “update photos in frames around the house” again and host a girls’ dinner at my house – but I’m learning that I can’t do everything every month. Some things will just have to wait. That’s the whole point of being “B+” right? I like it. 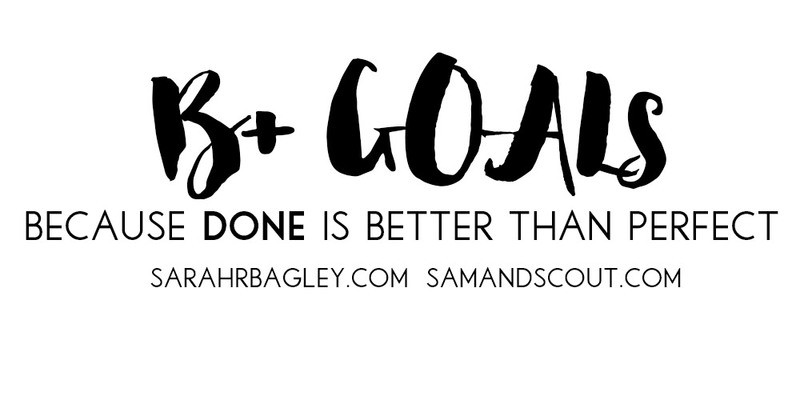 Don’t forget to check out Sarah’s goals (and a super cute pic of her puppy) too, and share your own in the comments if you want! It’s going to be a good month friends. P.S. Any tips on surviving 18-month sleep regression and/or early-onset “terrible twos” is WELCOME and appreciated. The calendar may say we have a few more weeks still, but it is SUMMER in my book! I’ve got five days left of school and ten days until I leave for almost THREE weeks of beach and travel!!!! I cannot wait! And now for June… Like I said above, I’ll be on the road (or on the beach) for all but the first ten days of the month, so I’m trying to keep my goals realistic and low key. How did you do in May? What are your goals/plans for June? Make sure to check out Sarah’s post too! P.S. Check out my “Goals for a Slowish Summer” post from last year. I’m going for more of the same!